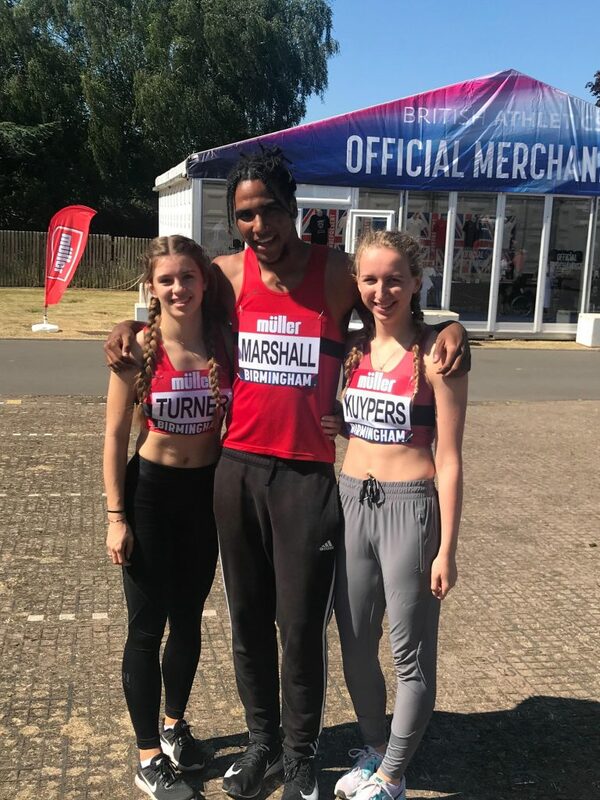 M&M athletes were in action last weekend at Birmingham, competing by invitation in the British Championships and European trials. Ellie Turner (12.05) and Darcey Kuypers (12.13) competed in the senior women’s 100m, where they both qualified from their heats, allowing them to line up alongside the likes of Dina Asher Smith in the semis. Both Ellie and Darcey ran well in a swirling wind recording times of 12.14 and 12.38 respectively, but neither was able to qualify for the finals. Alex Marshal competed in the senior men’s 100m and against a headwind of 1.7m/s he recorded a time of 10.93. Cameron Corbishley completed the M&M contingent at these championships, but on this occasion he was disqualified from the 5k walk.